SCVHistory.com LW2886 | William S. Hart | Publicity Photo for 'O'Malley of the Mounted' (Paramount 1921). 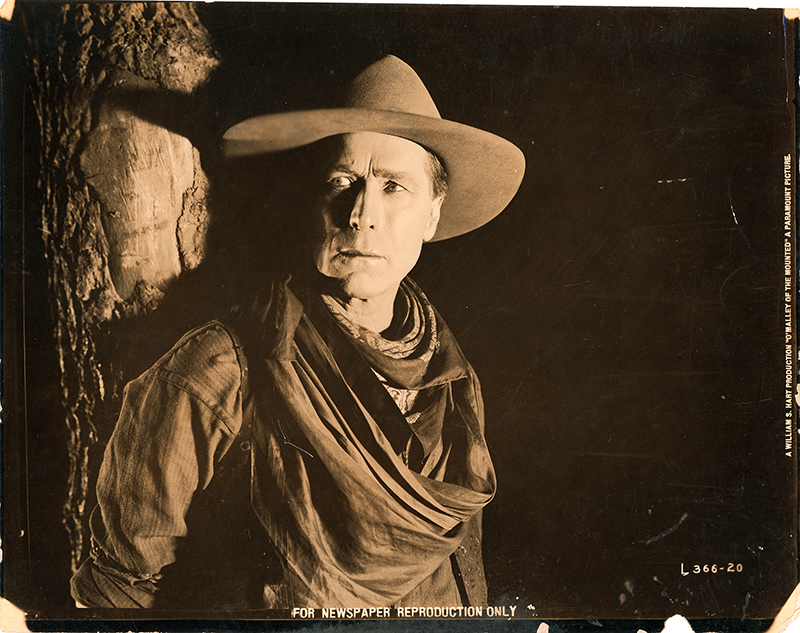 8x10-inch sepiatone publicity photo for the 1921 Paramount picture, "O'Malley of the Mounted," produced by and starring William S. Hart. LW2886: 9600 dpi jpeg from original photograph purchased 2017 by Leon Worden.